The Green Party of Ontario is the only one of our 4 major parties looking to shutter our aging nuclear plants instead of investing billions more to refurbish them. Some people have been misled into thinking the recent big spike in our hydro rates was due to the Liberal Green Energy Act, but in fact it has much more to do with the debt Ontario still carries from building these plants in the first place. There are things wrong with the Green Energy Act, but this is not one of them. Now is time to transition to green energy. Your Green vote will help. Find out more about the candidates in the KitCon Blog: Meet our 2018 #KitCon Candidate Nominees! Elections Canada is holding 5 By-Elections across Canada on April 3rd, 2017. An excellent way for small parties to break through the disproportional elections barrier is by making a splash in a by-election. During a general federal election, everyone has their own riding to think about. But when there are By-elections, a grass root party like the Greens can build itself a major advantage by strengthening our network by beefing up our numbers with cross border cooperation. 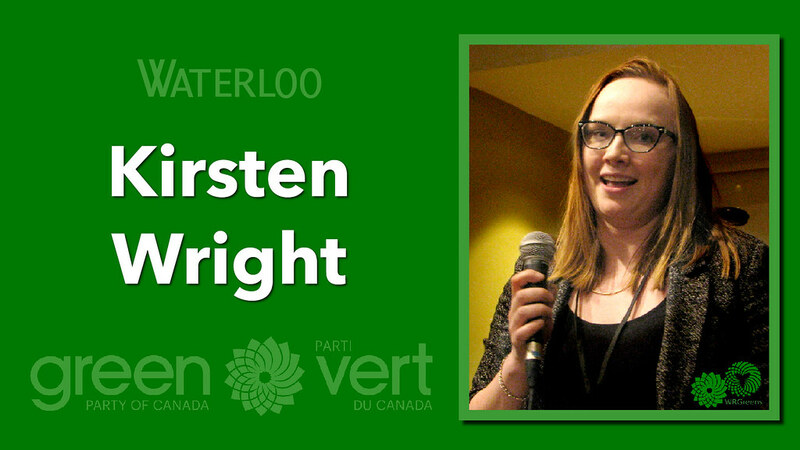 Here’s the thing: if you can help get a neighbouring Green candidate elected during a by-election, it will be that much easier to get more Greens elected in 2019 ~ perhaps even the candidate in your own riding!. There’s less than a week left!!! …even just a few hours here and there could make all the difference. Attend events & debates to cheer them on! No matter where you live, donations will help any of these candidates. The one thing Greens are not using to the fullest is one of the most powerful tools we have at our disposal: social media. Many of us are frugal about sharing things to our social media feeds because we are concerned about annoying our friends. What people don’t realize is that Facebook, Twitter etc. don’t show everything we post to all of our friends and followers. Even if you live on the other side of the country and don’t know a soul in the candidate’s riding, liking, retweeting and sharing will help them … because the more people engage, the more the candidate’s Social Media platform will spread their posts to more of their own followers! Do you want to see Green videos go viral? Share them! Do you want to build a meme? Share it! Twitter tip: a ❤ isn't as good as a Retweet. EVERY time you share anything on Twitter or Facebook etc. you will be helping help increase the candidate’s social media reach ~ and increasing her odds of being elected! . 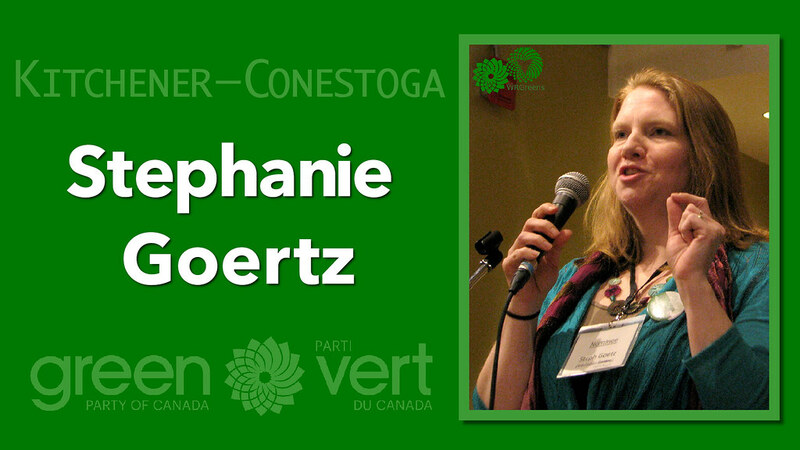 Do you want to elect Green candidates? Help make NOISE! 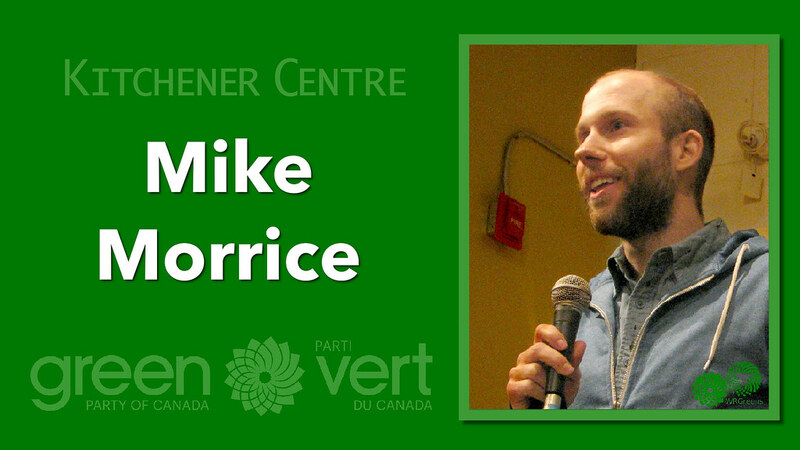 One of the most important Green Party of Canada campaign issues was the Guaranteed Livable Income. The idea was piloted in Canada under the name “Mincome” under the first Prime Minister Trudeau. What happened then is what happens all to often… the government fell and its successors had no interest in implementing policy based on their predecessor’s pilot project. Here in Waterloo Region, we have our own Basic Income Waterloo Region advocacy group that’s part of a Canada-wide grassroots movement to make a basic income guarantee the next great innovation in social policy. 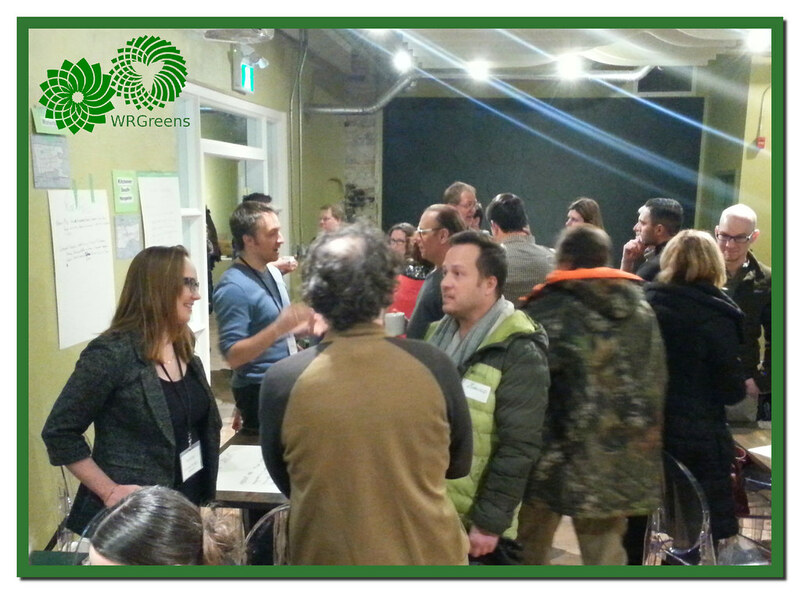 Basic Income Waterloo meets with Richard Walsh and Bob Jonkman at the WRGreens 2015 campaign office. While on the surface it may seem that such a program would be prohibitively expensive, ironically research shows the effect of a properly managed basic income guarantee is actually a savings to government, as well as a boost to small business and innovation. 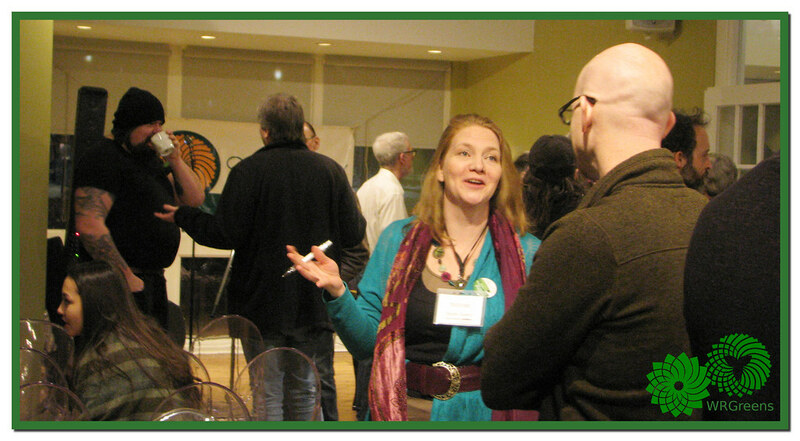 Check out Basic Income Waterloo Region’s Frequently Asked Questions page. This month is just flying by! Before this event, don’t forget The Honourable Maryam Monself will be consulting with Waterloo Region at the Liberal Town Hall on Wednesday Sept. 14th, and and our own Community Dialogue will be the following Saturday. It would be tremendous if you could print a poster or two to hang on local bulletin boards or hydro poles. 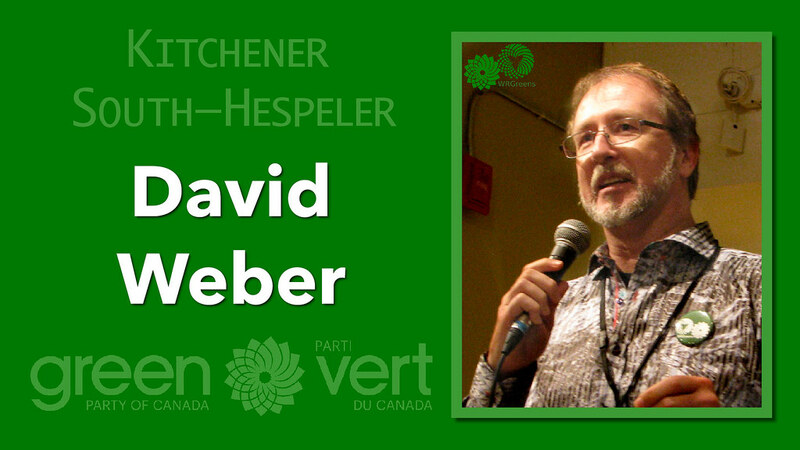 And remember, you can keep up with Waterloo Greens events in our Calendar, or by subscribing to this blog! Ontario Green Party Leader Mike Schreiner has been sharing GPO’s ideas for restoring trust in the integrity of our system by reforming political party funding rules. Some of these Green ideas have been incorporated in Bill 201, currently being considered by the House. Clearly our message is gaining traction, since the Liberal Government took the unprecedented step of inviting Mike to participate in the drafting new legislation by speaking to the Standing Committee on General Government today. “The Liberal bill reflects many GPO priorities, including eliminating corporate and union donations, limiting third-party advertising, and introducing a per-vote allowance to finance political parties. However, there are still some glaring omissions that need to be addressed, and Mike’s presentation is making sure these are still on the table before the bill gets past..